Almost every interaction involves negotiation, yet we often miss the cues that would allow us to make the most of these exchanges. 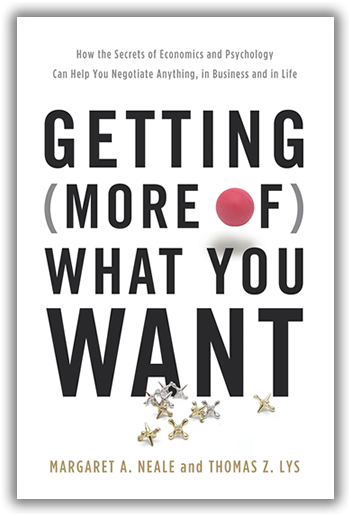 In Getting (More of) What You Want, Margaret Neale and Thomas Lys draw on the latest advances in psychology and economics to provide new strategies for anyone shopping for a car, lobbying for a raise, or simply haggling over who takes out the trash. 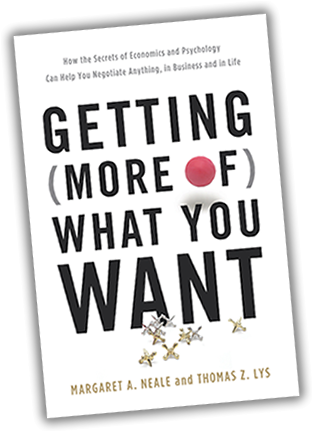 Getting (More of) What You Want shows how inexperienced negotiators regularly leave significant value on the table—and reveals how you can claim it. Margaret Neale and Thomas Lys at a Stanford Webinar discuss the finer points of negotiation.